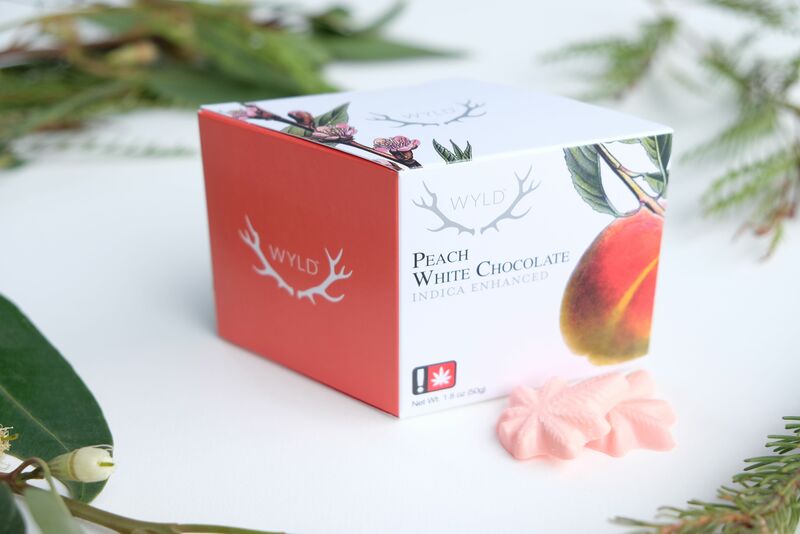 Wyld's white chocolate is perfectly kissed with a touch a fruit and cannabis to produce an outstanding edible for minimal and maximum cannabis users. All chocolates come individually packed to provide a consistent dose for each piece eaten, without having to worry about breaking a chocolate bar perfectly on the line to get similar experiences. Eat one for a smooth sailing micro dose day or all of them to sail into the clouds. These melt in your mouth morsels taste just like a scoop of peach ice cream!